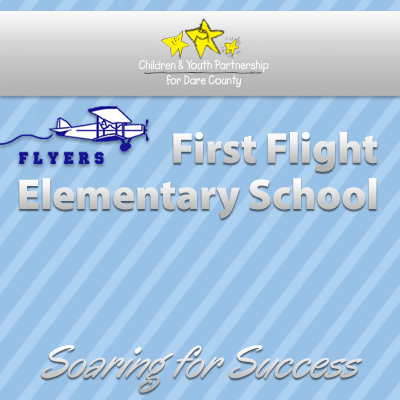 Welcome to First Flight Elementary School, Home of the Flyers! First Flight Elementary School is an exciting place to learn and grow! Our dedicated staff, our caring parents, and our supportive community all work together to provide a learning environment in which all students can experience success. At First Flight Elementary School we believe in setting high expectations for all students, and we are committed to preparing students for the challenges of the 21st century. The KSCRP spirit is evident throughout our school as children and adults display their kindness, safety, cooperation, respect, and peaceful ways. We encourage and recognize students for being powerful in a positive way. We continue to “Soar for Success” as we provide an outstanding educational experience for our students. We welcome your participation at First Flight Elementary School, a special place of learning.